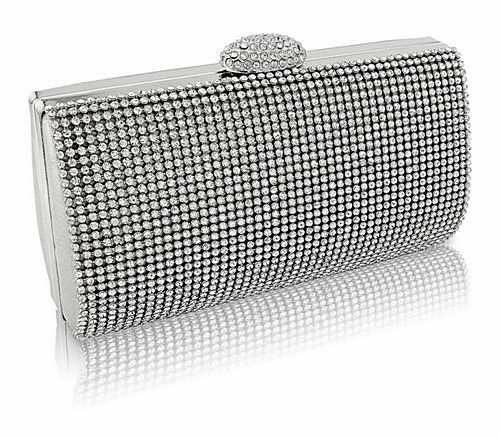 Glamorous crystal clutch bag with sparkling clear crystals on a silver satin fabric finish. Wider space. Jewelled clasp. Size is approx 18cm x 13cm and depth is 6cm.